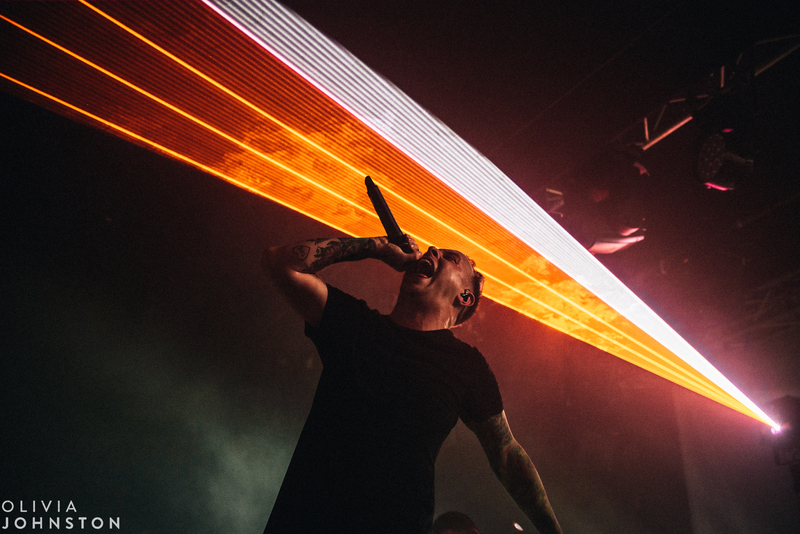 Here’s a photo from Architects latest UK tour (December 2016) at Rock City in Nottingham. You can never be sure what you will get at a live music concert, the lighting is different every time, and can sometimes be quite radical. As well as pyrotechnics, Architects band had some fantastic lasers, which were perfect for an impactful photo of lead singer Sam Carter.